There is always a possibility of selling or donating your iPhone/iPad to someone. In this case, you will be expected to erase your private information to avoid it being accessed by an unwanted person. One way to do this is by using the default data erase feature on iPhone. But in reality, it is not enough! The data deleted through this means can still be accessed using data recovery tools. Since that is the case, you will need a stronger iPhone data eraser tool to erase your private information so that it can’t be retrieved. Fortunately, there are a whole lot of such tools. 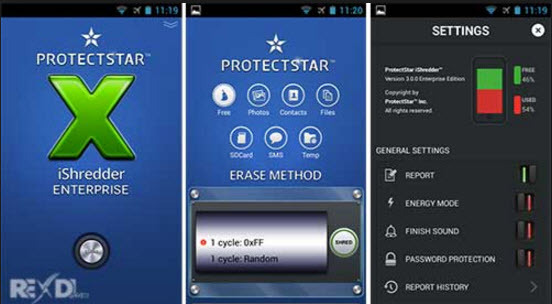 This iPhone data eraser tool is number 1 on the list as it is regarded as the world best all-in-one solution for iOS space saving and privacy protection. 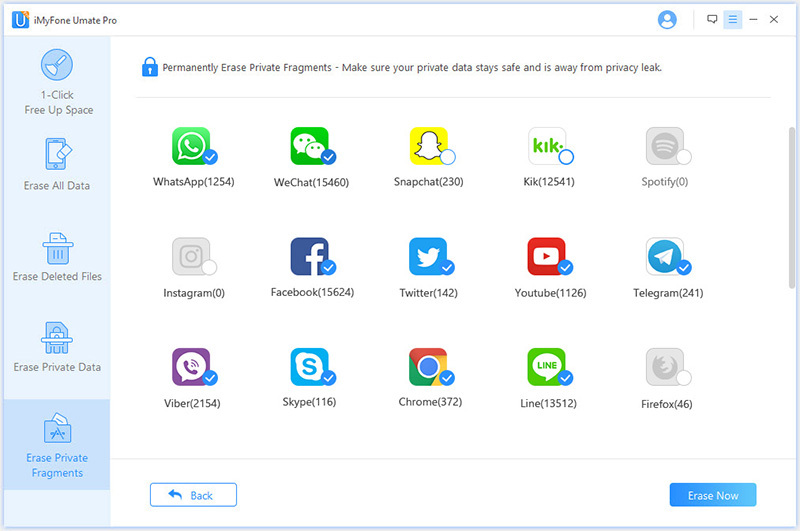 iMyFone Umate Pro / iMyFone Umate Pro for Mac has the capability to erase all kinds of data including call history, photos, videos, messages, notes, private WhatsApp/WeChat information etc. The advantage of using the Umate Pro is that it is powerful enough to erase data in such a way that it can’t be retrieved even with the most modern data recovery tools. In addition, the Umate Pro can also scan and delete already previously deleted data in a situation where you have done it using the normal means. Umate Pro is easy to use as it requires just few steps in the process. 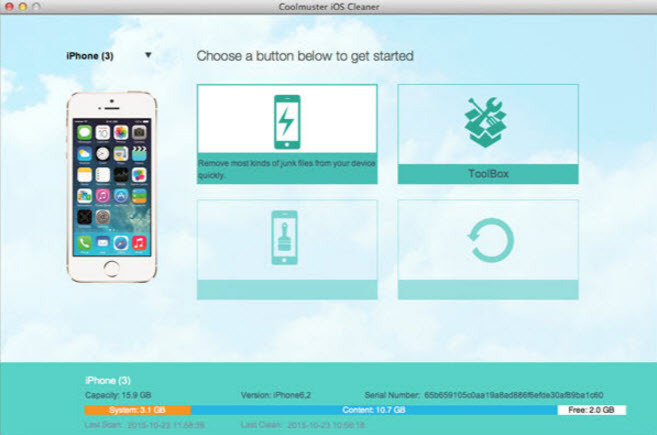 This iPhone cleaner allows users to erase data from their device. It also boast of unique features like privacy protection plus other interesting features that makes it one of the top iPhone cleaners. Besides, it is important to note that Phoneclean erases your private and sensitive information completely in such a way that they cannot be recovered. Every file format is supported with Phoneclean which makes it one of the top iPhone data erasers to have. The iShredder is a unique iPhone data eraser tool that allows users to shred private data to protect privacy. One unique feature about the iShredder is that it uses a military style security system that sends unwanted data files to Nirvana. Note that ishredder uses a deletion process that is made up of just 3 steps which is highly secured and impossible to hack. iShredder performance has earned it a place in top 5 iPhone data eraser. 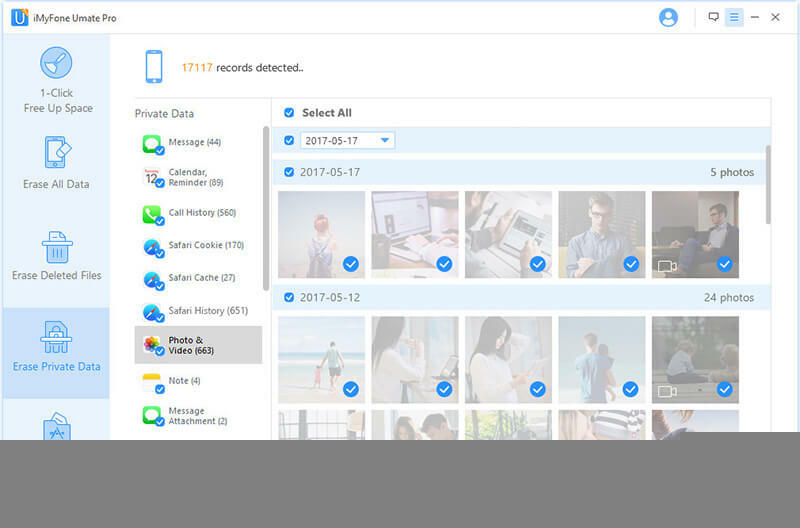 This is another top iPhone data eraser tool that helps users to erase all kinds of data including text messages, video and photo files. Like other top data erasers, it erases data while leaving no chance of recovery by any recovery tool. This app is designed to clean your iPhone device and protect your privacy easily without having to break the bank. It is simple to use as well as efficient and it can clear all kinds of junks using it sophisticated technology. The performance has also earned it a top spot in the data eraser area. Free Trial version to check iPhone Data: Umate Pro offers you the opportunity to check your iPhone data using the free trial version. This is a testament of confidence in this tool and that is why it is the best. Permanent Erase: Any erasing of data done by the Umate Pro is permanent. This means that it is 100% unrecoverable even with the best data recovery tools. Erase All Types of Private iOS Data: No matter how private your data is and the form it takes, Umate Pro erases it all leaving no chance of recovery. Erase Previously Deleted Data: The data deleted through normal means can be retrieved which is bad for your data security. However, Umate Pro is capable of seeing these data and erasing again so that it cannot be recovered. Erase WhatsApp and WeChat: This is one of the unique features of the Umate Pro and it is one of the things that separate it from other erasers. Umate Pro does a very good job erasing WhatsApp and WeChat data. Erase Third Party Apps Fragments: Again, this is a unique feature of the Umate Pro which does a good job in erasing third party apps fragments left behind, erasing them permanently in the process. What are the Required Steps for Using the Umate Pro? Step 1: Run the program and connect your iPhone/iPad to it. Step 2: Select the required erase mode. Step 3: Click on “Erase Now” button to erase permanently your iPhone data.